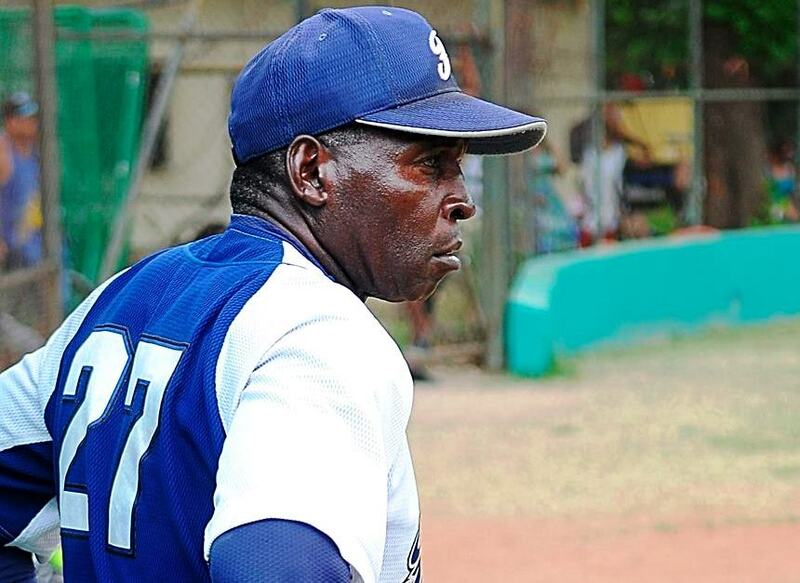 Lazaro de la Torre is the all time wins leader for the Havana Industriales and has pitched in 4 different decades. His first season was in 1978-79 where he went 12-3 with a 2.99 ERA in 114IP. He then went on to go 7-0 in the Select Series. Not bad for a rookie, especially considering at that time aluminum bats were used in the Cuban National Series. He is in the top 10 in all important Cuban pitching records. Lazaro sat down for a Q & A session a few months ago and his smack was fresh and on time. Q: What are you doing now? A: Right now I’m the director of the Sports Complex “50 Aniversario”, head coach of the women’s baseball team of Havana and head of the League Disciplinary Committee InterBarrios. Q: What was the key to your longevity in sport? A: Consistency, strength of will, much sacrifice, zero alcohol and zero cigarette(s). Q: So there is a story of Lazaro de la Torre getting off the bus on the bridge of Bacunayagua and he continues running until he gets to the Bay of Pigs before sunset. True? A: This and many stories are true, because when I was told in 1970 that a good pitcher had to run, I decided to follow the advice to the letter and the results have proved me right. Q: Do you see many differences in the way baseball is played today? A: The difference is dramatic, previously we suffered following a defeat and one could hear the buzz of a fly on the locker. We reflected on what we had done wrong. Now a team loses and goes almost the whole team goes to the House of Music (bar/club). Before there was more dedication, more commitment and respect, hence the rivalry was greater and the love of the uniform was unique. Q: What do you think baseball lacks in the Capital? A: Coaches, trained as trainers. Many times we have coaches who were great players, and we believe they will be just as good at developing players and that is not necessarily the case. Coaches need coaching skills. Q: Do you think the teams in the Havana are good? A: No. A player’s performance is not respected and there are too many “Daddy’s boys” (nepotism) slipping onto the team. Players should be on the team based on merit, on performance. Q: What do you think of the transfer of players between the Metropolitanos and the Industriales? A: That’s a mistake of a lifetime. True, it strengthens the Industriales name, but we are forcing the Metropolitanos into failure, as current players will never be champion. Q: How do you feel about pitch counts? A: I do not like it. It is true that the pitcher suffers less, but no athlete who is playing for the sake of his team is happy counting the pitches. The commentators talk and get into things they should not, and both influenced pitch counts being imposed as a rule.. There are now more injured arms than before. Q: What are the current conditions of baseball in Havana? How long will it take us to recover? A: It’s not that bad. Doing what needs to be (and has been done) is not much. A couple of years. Yes, we must do the right thing. It is fundamental for us to go find the player, they will not come to us. Baseball in the Capital now has a big problem: commitment. Q: Next season, Havana will be able to find good players? A: Many. In the Sugar League and the Workers League, where many young players who are seen as the quality and only lacks a little preparation for promotion to the next level. That’s why you have to go find the players, the work of scouts is as old as baseball. Q: Who is the best hitter for you today? A: Frederich Cepeda, no question. A: A tie between Pedro Luis Lazo and Norge Vera. Q: Do you still feel a part of the Industriales? A: I will always be blue (the colour of the Industriales), I can not do otherwise. I’m blue, which besides being a very pretty color, it is also one of the colors of our flag. Q: Any message you want to send to the fans? A: Keep supporting the team, they need you now more than ever. With contempt we will not achieve anything. 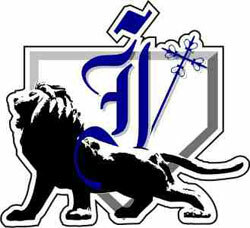 There are many good things about this team, it just needs your support and help. To me, Lazaro de la Torre was built in the same mould as Roy Halladay. 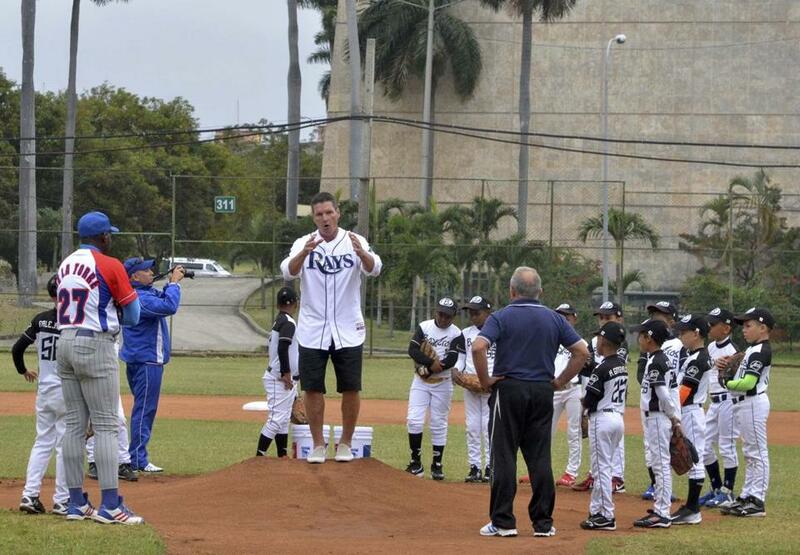 All Cuban pitchers should use Lazaro de la Torre as an example to imitate. The real formula for success is the perseverance, sacrifice, work ethic and total dedication to the game. This is an interesting piece even if it isn’t really insightful. Making the comparison between de la Torre and Halladay is apt. However, de la Torre says Cuba lacks coaches. Halladay had the best coaching in the world and Mel Queen takes the hat as he taught a young Doc who forgot how to throw a slider in the offseason how to be a competitor. The killer competitive instinct can be taught as much as proper arm angle. With the way the MLBPA coddles players and the way players move around now, that competitive instinct isn’t important. It is downplayed and it is unwanted (see Joba Chamberlain’s fist pumps). Frank Robinson had a hard time managing players who were friends with players on other teams. We in this generation of ball fans will never see the likes of a Pete Rose, Robinson, Cobb or de la Torre again. An all-star with nothing but contempt for the opposition when they are on the field. True, Halladay even had access to psychologists who came to the conclusion that he was “too nice.” They were then able to instill in him that contempt for the opposition. Cuba doesn’t have those same resources, obviously. I find it interesting that the game in Cuba has changed so that young players don’t display the same commitment as the old timers did. Is this a paradigm shift? (odd, because Cuban baseball is a microcosm of a larger, insulated Cuban bubble) Or is it just a case of an old player saying “back in my day, the way we did things was harder, better…”? This is the quote of the interview, amazing.